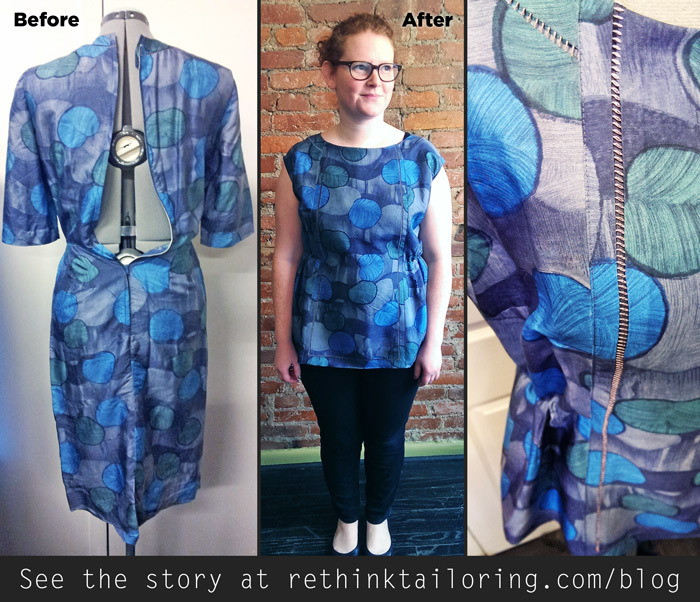 This dress was absolutely stunning, from the pattern, to the colors, to the thread details. Only problem was that it was soooo tiny and had rips in the armpits. 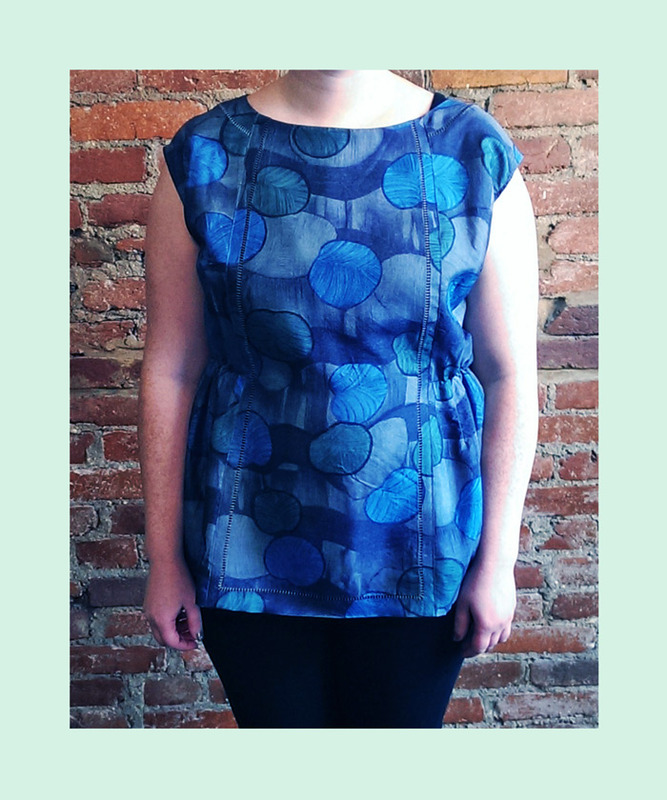 After discussing options with Karen, she decided that revamping it into a top would get the most wears. I cut directly down center front and added the panel with thread detail that was previously on the skirt, added a panel to center back as well, cinched the waist, ditched the sleeves, and got this gem up and running.